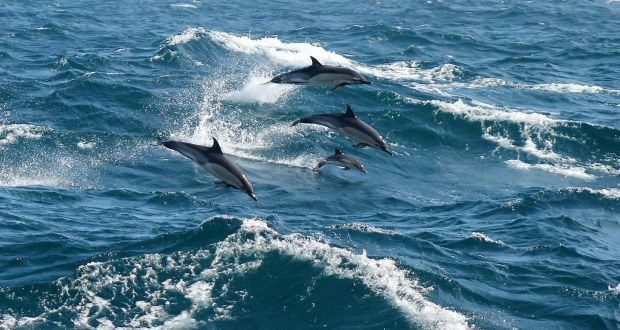 A three-year survey which included recording the sounds of whales, dolphins and porpoises deep in marine waters off the Irish coast has generated a vast amount of new detail about their numbers, seasonal habits and where they frequent. The survey “has provided the first insights into rare and illusive species that spend nearly their entire life underwater at great depths,” according to the scientists involved. It included an aerial survey of vast areas around the Irish coast and out into the Atlantic Ocean, which also recorded sightings of seabirds. The acoustic survey was led by a team of scientists at Galway-Mayo Institute of Technology, while an international team led by researchers at University College Cork conducted the aerial survey. At least three species of beaked whales were recorded and little is known about these deep-diving offshore species. Endangered Blue whales were also detected, even when they were up to 200km away, using recording devices placed in seas off the west coast. Strong seasonal patterns in their sounds were noted and described – they vocalise more coinciding with breeding season. A total of 20 species of whales, dolphin and porpoises were recorded, analysed and mapped while almost 2,200 aerial sightings were confirmed by the ObSERVE Programme. Some 380 Sperm whales were found using acoustic detection and tracking methods. The Beluga (white) whale was also recorded, though it is mainly an Arctic species. Minke whales were most frequently observed, while there were abundant baleen whales – about 12,000 in summer and 5,000 in winter. The €2.7 million project was commissioned by the Government to enhance knowledge and understanding of protected species and sensitive habitats offshore covering the Irish Atlantic Margin, deep waters off the west coast that is nearly 1½ times the area of the UK, the Celtic Sea and the Irish Sea. 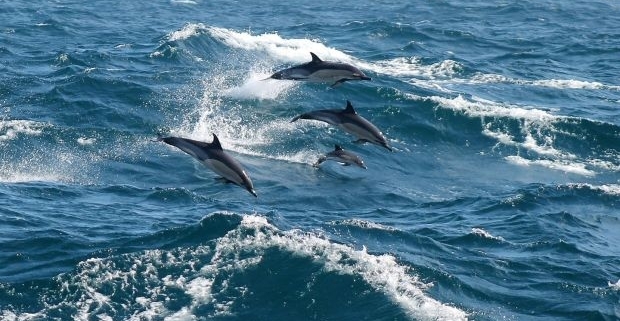 Considerable variation was found in the distribution, abundance and movements of dolphin species. Bottlenose dolphins were much more abundant during winter than summer, with densities in the winter of 2016-2017 being among the highest ever recorded. Aerial surveys highlighted the importance of the Irish Atlantic Margin for seabirds with almost half a million seabirds located within the study area: during both summer and winter 10,000 sightings of seabirds were recorded, representing 24 species. In the western Irish Sea an estimated 100,000 birds were present in summer, 90,000 in winter, with migrating seabirds boosting these estimates to 300,000 in the autumn. Dr Mark Jessopp of UCC said the aerial programme was particularly ambitious and logistically challenging, but has provided essential information on the distribution of cetaceans (the collective name for whales, dolphins and porpoises) in summer and winter over two consecutive years. “This is the first time we have been able to get robust estimates of cetacean abundance in winter and seabird abundance at sea essential to inform management and conservation of populations,” he added. The Department of Communications, Climate Action and Environment, in partnership with the National Parks and Wildlife Service, co-ordinated the project, which will inform environmental evaluations of offshore oil and exploration projects; the laying of underwater cables and offshore wind developments.